If for conscience sake Christians cannot follow an unjust law or an immoral practice if it is the law, Christians must be willing to stand up and oppose it. 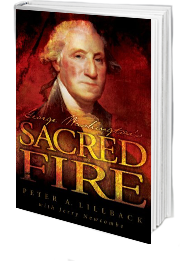 The faith community must speak to the evil, brokenness and contradictions to God’s truth just as our Founders did throughout the revolutionary period, and as subsequent patriots have in many difficult situations since. Sometimes the occasion even calls for a measure of civil disobedience as our Founders found necessary. If it is deemed necessary to refuse to abide by an unjust law, Christians must also be willing to accept the consequences of violating that law. Nevertheless, that violation must be done in a respectful, peaceful manner. Christians must at all times maintain a Christ-like character. The Apostle Paul taught, “If possible, so far as it depends on you, live peaceably with all” (Rom 12:18). Consider the example of Stephen (Acts 6:8-7:60) and Peter with other Apostles (Acts 4:18-22; 5:27-41) as well as Old Testament examples such as Shadrach, Meshach and Abednego (Dan 3:8-30). This was also the perspective of Dr. Martin Luther King as he provided leadership during the Civil Rights Movement. Dr. King’s perspective and teaching to those who worked with him in the Civil Rights Movement is a perfect example of how someone from the faith community appropriates the teachings of Jesus Christ to witness and bring positive change in the public arena. Unjust laws needed to be opposed to uphold the rights and dignity of human beings but accomplished by methods and principles rooted in the Christian faith and ethic. Ultimately, God is the only one to whom we must answer, so a Christian must stand up against unjust or immoral laws according to the same Christian standard that leads the faith community to oppose those laws in the first place. The faith community’s methods must be as consistent with the Gospel as the moral principles they advocate. Dr. King was preceded by two amazing disciples of Jesus who lived and ministered in Philadelphia when our nation was young. Richard Allen and Absalom Jones were both former slaves. Despite their previous enslavement and the many insults and struggles they endured at the hands of the white population, Allen and Jones mobilized their respective congregations in one of the most selfless acts of Christian service in our nation’s early history. A yellow fever epidemic hit the city of Philadelphia in the summer of 1793. As many people, including President Washington and others in the national government fled the city, there remained many who did not have the option or resources to flee. Over 10 percent of the population of the city perished in the epidemic by the time it ran its course. In the meantime, Dr. Benjamin Rush, who erroneously thought that African Americans were immune to the disease, wrote to Richard Allen asking him for his congregation’s help. Even though African Americans succumbed to the disease at the same rate as whites, they courageously entered the homes of white people and nursed them. Both Allen and Jones believed that black aid to white citizens would help the cause of racial justice and bring a measure of reconciliation with white Christians from whom Jones’ and Allen’s congregants chose to separate due to unjust treatment. Unfortunately, when the epidemic was over, the African Americans who sacrificed and served so faithfully were accused of taking advantage of the vulnerabilities of the white population and suspected of crimes, forcing Jones and Allen to write a response. In “A Narrative of the Proceedings of the Black People During the late Awful Calamity in Philadelphia in the Year 1793 and a Refutation of Some Censures Thrown Upon Them in Some Late Publications,” Jones and Allen wrote directly, contradicting the charges against their people with grace and without rancor. After publishing the above pamphlet, they also addressed themselves to the issue of slavery. Their tone foreshadows Dr. King’s. Theirs was testimony of two men who had embraced their Savior Jesus as the Lord of their lives. These are the kind of men needed to represent the faith community in the name of Jesus in the public arena. This is the voice of the faith community at its finest. Martin Luther King, Jr., The Words of Martin Luther King, Jr. ed. Correta Scott King (New York, NY: Harper & Row Publishers, 1983), 71. Martin Luther King, Jr., Stride Toward Freedom; The Montgomery Story (New York, NY: Harper & Row, 1986), 84. Martin Luther King, Jr., Strength to Love (Philadelphia, PA: Fortress Press, 1982), 54-55. Richard S. Newman, Freedom’s Prophet: Bishop Richard Allen, the AME Church and the Black Founding Fathers (New York, NY: New York University Press, 2008), 87-88.